I see Jane admitting that Alex has a valid point as Action Figure Diary's version of a Christmas miracle. I'm completely unprepared for Christmas so far, except for the fact that I have prepared several weeks of comics for the holiday season. Little bit stressed about that . . . 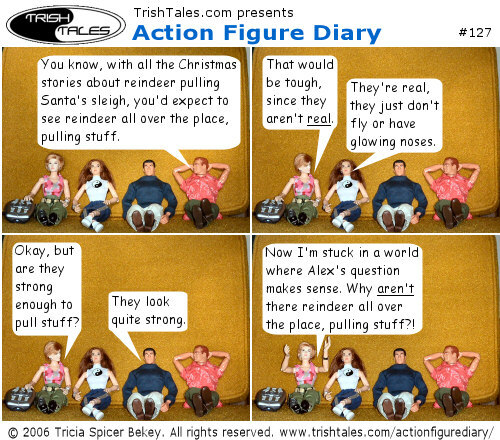 I'm planning to switch Action Figure Diary from Sundays to Mondays starting January 7, 2007. The plan is to have the comic posted Monday morning at 8 or 9 am instead of sometime Sunday.